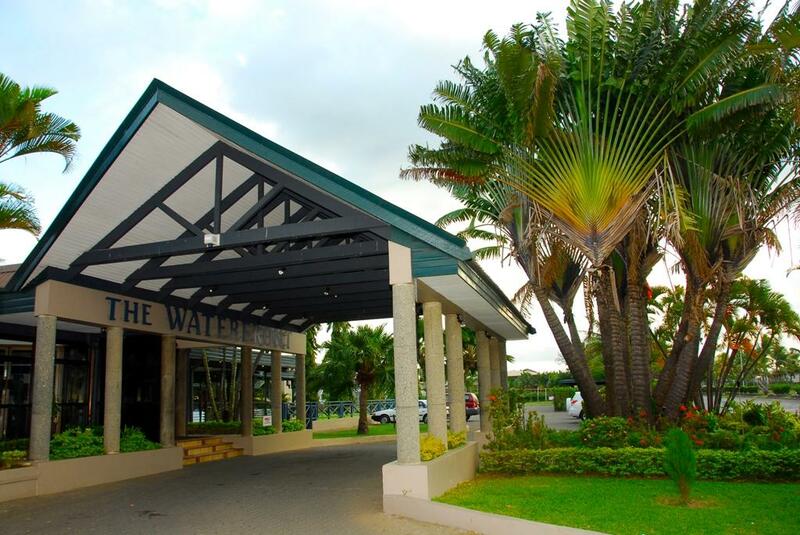 The Tanoa Waterfront Hotel is situated on the foreshore of Lautoka Bay, near the commercial centre and offers quality Fiji accommodation at affordable rates. 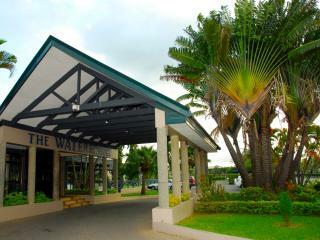 Tanoa Waterfront boasts Lautoka's finest dining option. 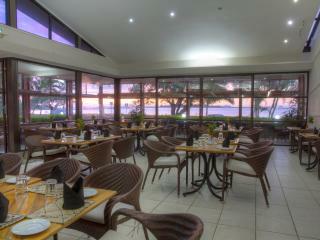 Fins Restaurant has views over the ocean and serves local delicacies as well as international cuisine. 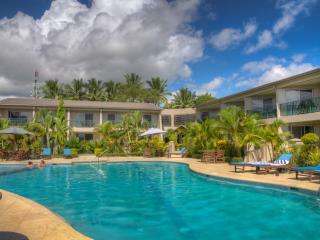 This Fiji accommodation offers guests a choice of Superior and Executive Rooms and Suites. 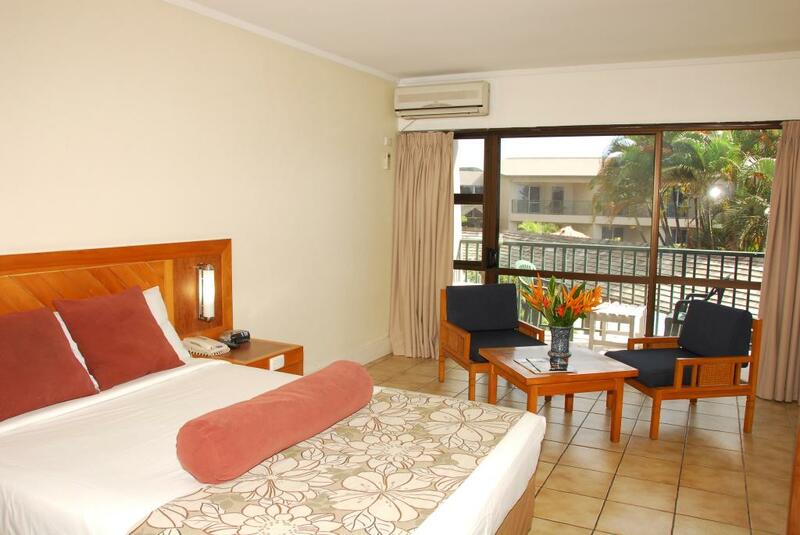 All rooms have air conditioning and a private balcony or patio. 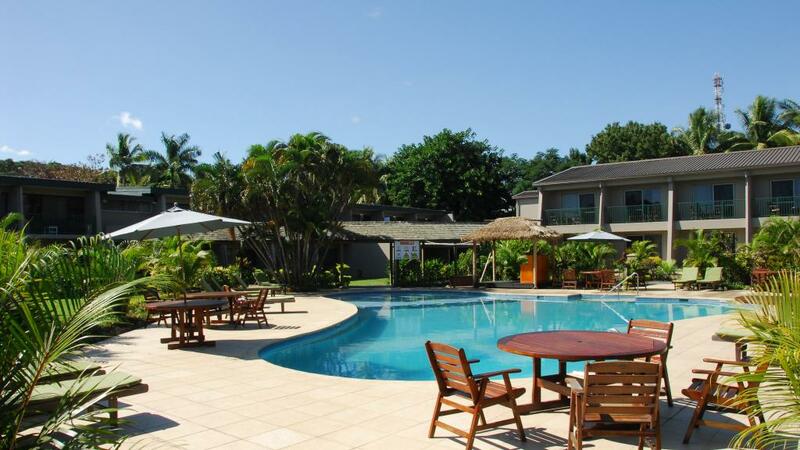 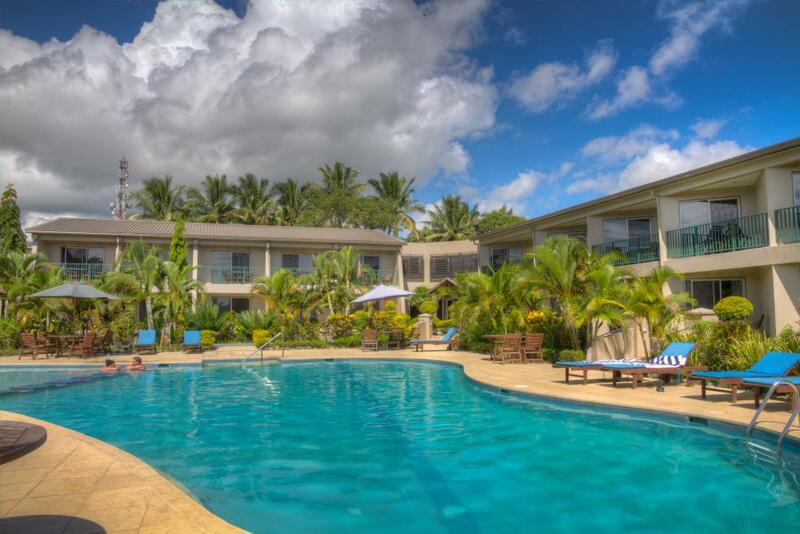 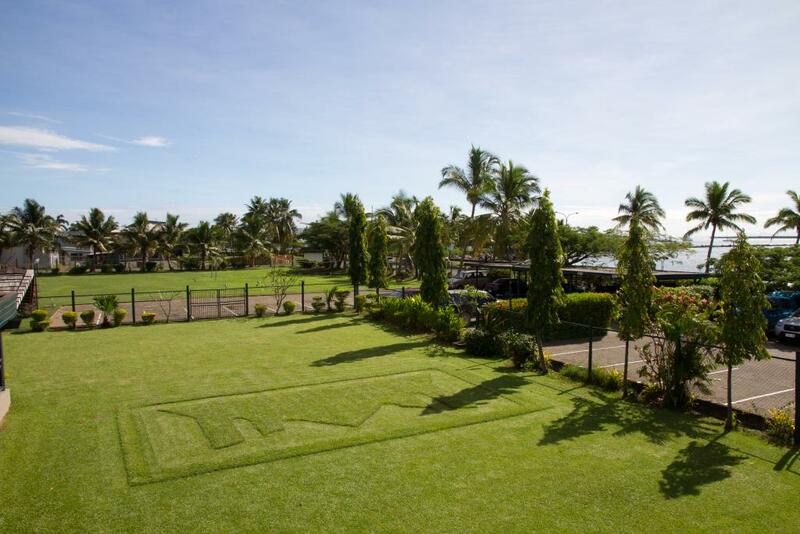 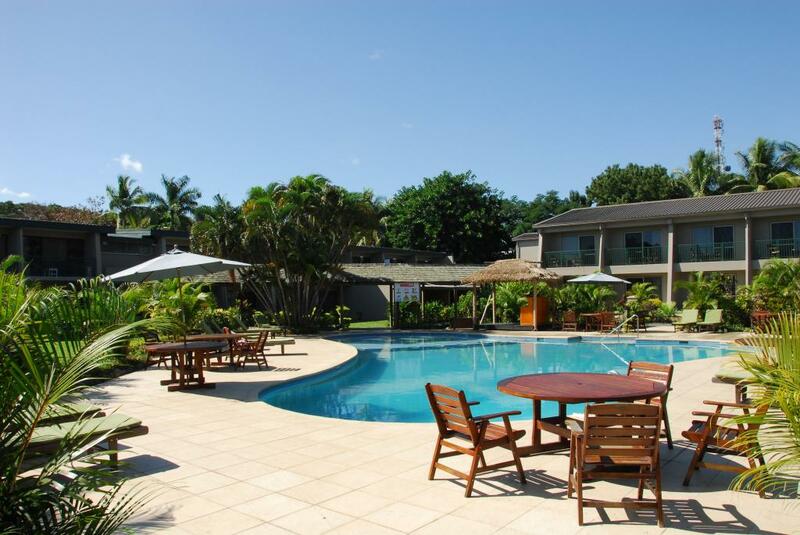 Twenty-five minutes drive from the Nadi International Airport, this hotel is perfect as a stopover for connections to the Mamanuca and Yasawa Islands. 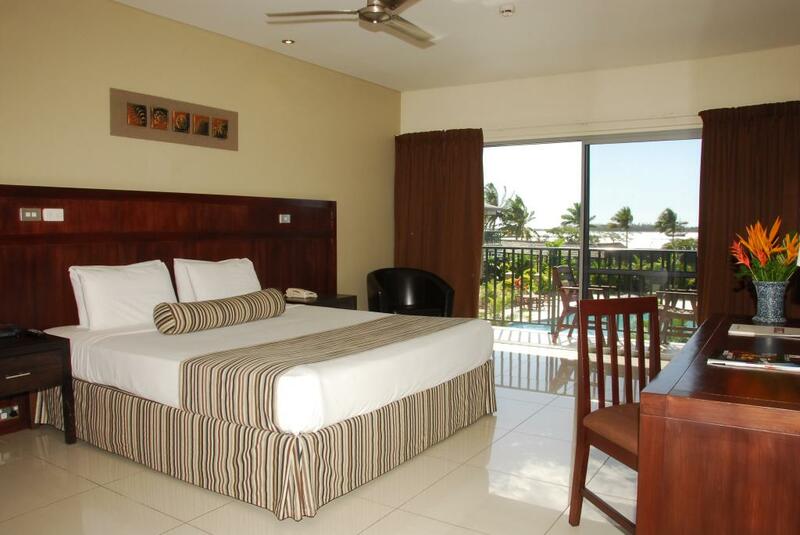 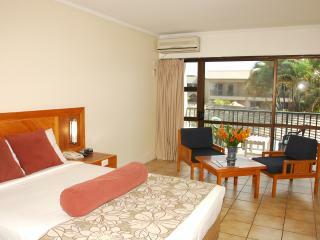 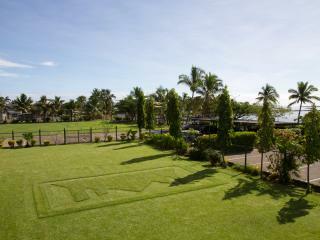 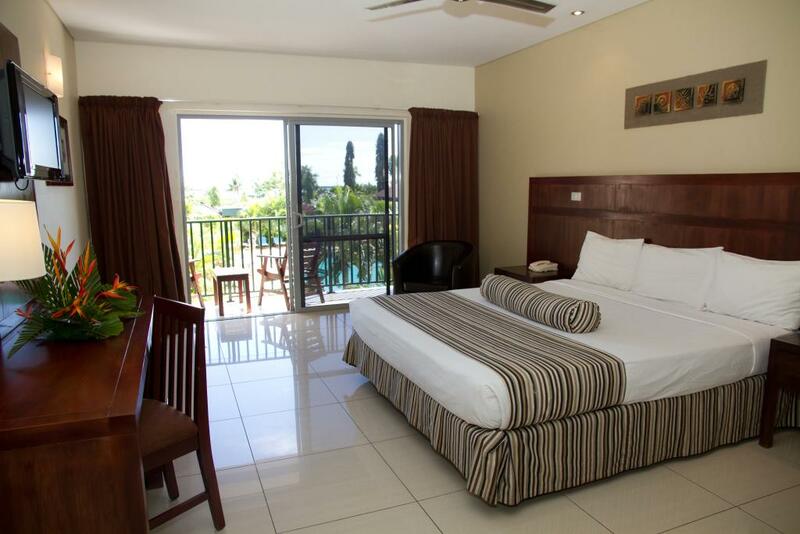 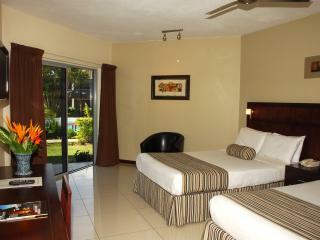 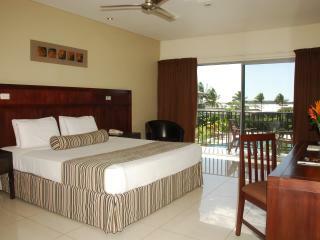 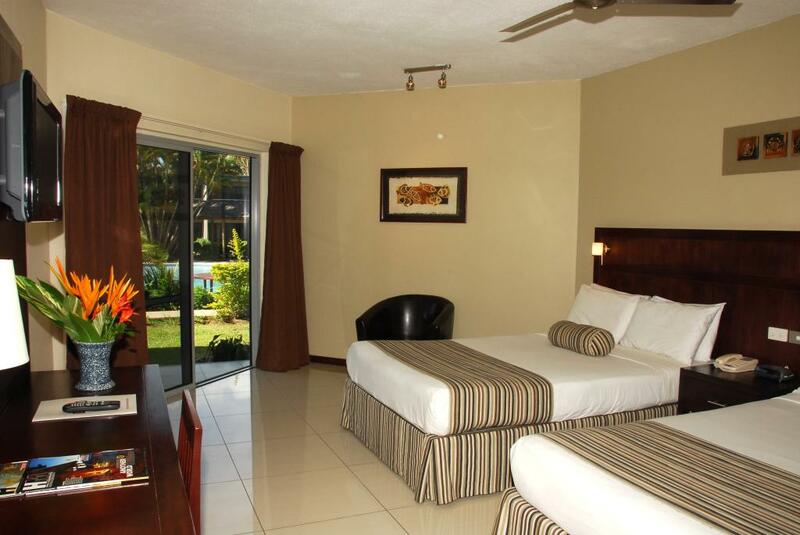 Tanoa Waterfront Hotel offers guests a choice of Superior and Executive Rooms and Suites. 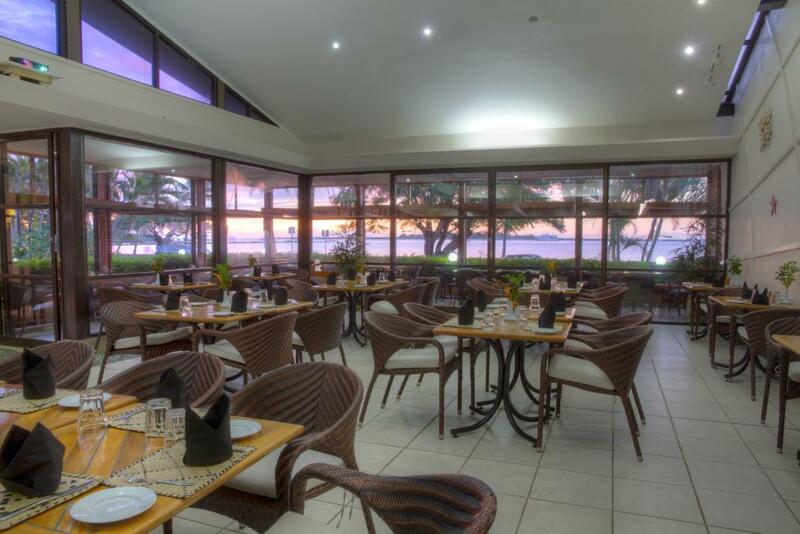 Fin's Restaurant: Air-conditioned restaurant caters for everyone and anyone. 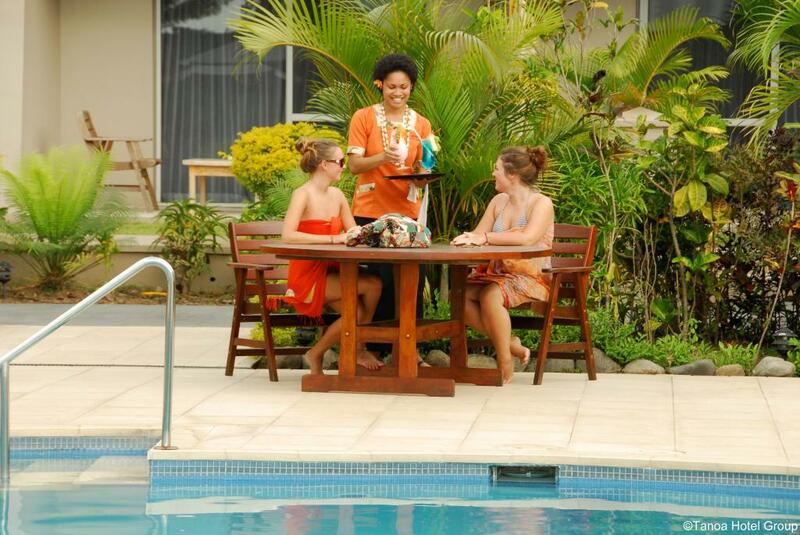 You'll definitely love the appetising menu with its varied international and local dishes. 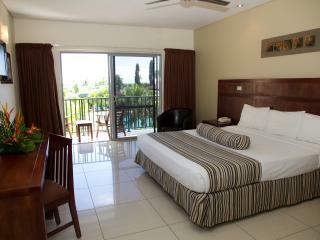 Affordable dining and excellent service is offered in friendly surroundings with spectacular views of Lautoka Bay and beyond. 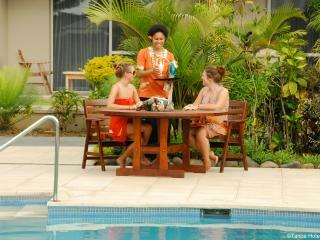 Sunset Bar: Join in with the serenaders for a sing along or enjoy magnificent sunsets every afternoon whilst you sip on cocktails.